Throughout history there have been, and continue to be many Indigenous heroes that have not been recognized by mainstream Canadian society due to views prevalent during the 1800s-1900s. From war heroes, famous cowboys, athletes, successful writers, artists, and many other successful Indigenous men, and women. The following activities are designed to shine a light on some of these heroes, some of whom have not been recognized for their success until after death. 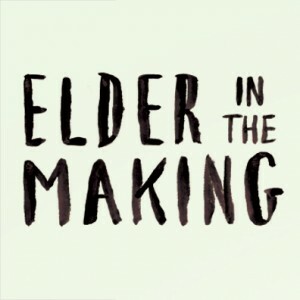 This connects to the idea of an “Elder in the Making”. Elders are people who are motivated to making their community better in the same way that we tend to consider heroes people who make our communities better. Canada is home to many Indigenous heroes. Some of these influential people are athletes, musicians, war heroes, and politicians. 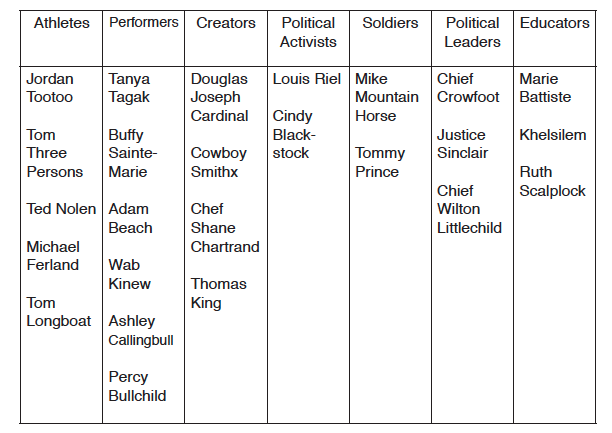 Provided with this lesson plan is a list of highly recognized Indigenous heroes from Canada. Also included is a list of quotes, which talk about heroes and describe what kind of person a hero is. Give students a copy of the list of Indigenous heroes and the list of quotes provided. Students can also use an different Indigenous hero of their liking and can look for their own quotes about heroes. After students have chosen an Indigenous hero, have them research why they’re considered a hero. Where nation are they from? Are they local to Treaty 6, 7, 8 ? Alberta? Or Turtle Island? What have they done in their community? What makes them so influential? After students have researched their Indigenous hero have them match their name to an appropriate hero quote. Students are asked to describe who their hero is and why this person is so influential, successful, outstanding, extraordinary, etc. What makes them a hero? What qualities about them make them a hero? Next students are asked to create a plan of action to enact being a hero in your school. Students can make a commitment to doing something good for the school or community. Students are asked to visualize their commitment by creating an artistic visual to represent their commitment and the results of their good deed. “I would describe a hero as a person who has no fear of life, who can face life squarely.” – Alexander Lowen, Fear of Life. “The real hero is always a hero by mistake; he dreams of being an honest coward like everybody else.” – Umberto Eco, “Why Are They Laughing in Those Cages?”, Travels in Hyperreality. “To be a hero, you have to learn to be deviant, because you’re always going against the conformity of the group. Heroes are ordinary people whose social actions are extraordinary. Who act.” – Philip Zimbardo, TED Talk, Sept. 2008.